VidConAustralia has announced its return to Melbourne in 2018 after a successful debut earlier this month. Around 7,000 fans visited the event at Melbourne’s Convention and Exhibition Centre to see a range of online video creators on stage. Thousands of fans also had the opportunity to “meet and greet” their favourite YouTube stars. Also with hundreds of digital content creators and industry experts attending, VidCon says its aim is to develop new connections as well as grow the next generation of internet stars. International YouTube stars including Hank Green, Tyler Oakley, and Grace Helbig rubbed shoulders with Australian creators such as Ann Reardon of How to Cook That and The Katering Show’s Kate McClennan and Kate McCartney. Online video wasn’t the only focus at VidCon with many industry panels and discussions on social media marketing and entrepreneurship in the Australian media landscape. 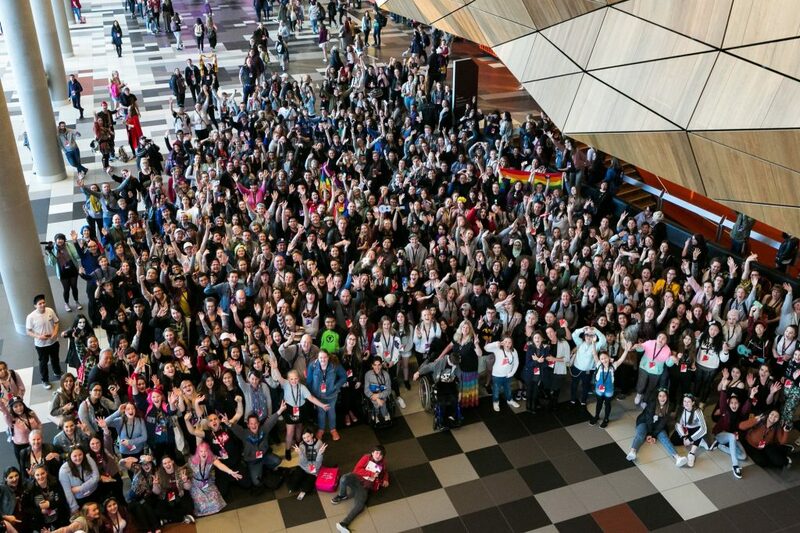 Creative events were also held in the lead up to the convention with VidCon’s Scavenger Hunt encouraging fans to share photos and videos of Melbourne to win free tickets and the VidContest encouraging creators to send in their own minute long film. Talented Melbourne video creator Beth Blvd took first prize in the VidContest with a stunning work of video art. Her short film was featured on the main stage at VidCon Australia, and she also took home a swag of other prizes. Details for VidCon 2018 are set to be announced in the coming months.